Cleopatra is widely regarded as one of the most beautiful women in mankind history. She managed to charm and seduce some of the most powerful Roman leaders. And how she did it? Sorcery? Nope, she managed to do it by looking great. 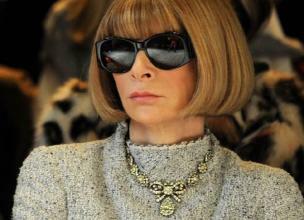 The good news is that her beauty secrets are well documented, and they are available for women nowadays. You can create the same seductive beauty that made Cleopatra a legend. And the best part is, most of her beauty secrets are actually very easy to make today. This is the most famous beauty secret. Taking a milk and honey bath was a ritual which she practiced on a daily basis. The logic behind is that both milk and honey soften the skin, help you exfoliate naturally, and leave you with a fresh and sweet smell. After all, many shampoos nowadays contain these two ingredients. To make your own bath, just add two cups of milk and ½ cup of honey to your bath water, and dip in it. Thousands of years ago, Cleopatra and Egyptian women discovered the power of red lipstick. Nowadays, wearing red on your lips will make you look dramatic and powerful. Egyptian women did this by using ochre (natural clay earth pigment) as lipstick and cheek stain. They ground the ochre finely, and then mix with water to create a lipstick you can apply with a brush to the lips. Nowadays, we know aloe vera as a soothing serum to the skin. You can thank Cleopatra for discovering this serum. She combined it with honey to make a great face mask that leaves your face soft, clean, clear, and hydrated. In the past few years, henna art and henna tattoo are becoming more and more popular. Back in the days, Cleopatra painted her fingernails using natural henna. She always went for some reddish brown color. She also used henna to dye her hair, by mixing it with berries and plants. You can see, henna has been a staple in beauty for centuries. Egyptian women discovered tricks for making your eyebrows pop even before it was cool. Nowadays, women have a lot of products to make their eyebrows look thicker. But then, Egyptian women used burnt almonds to paint their brows black and fill them out. 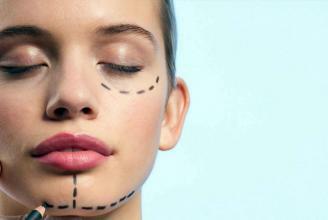 Another beauty trick that is now widely popular in the beauty industry. 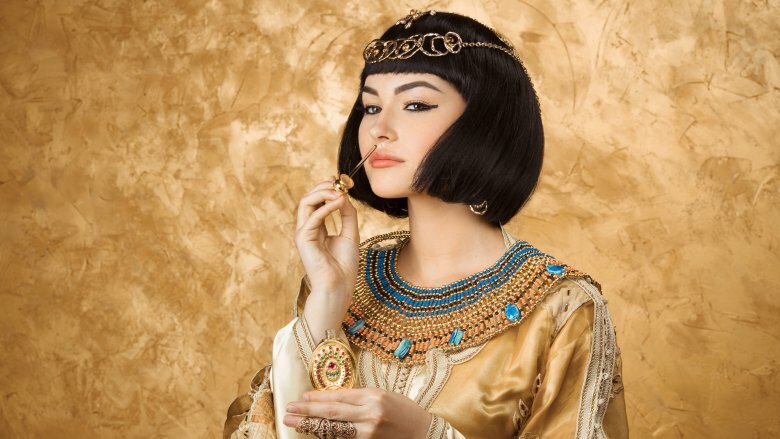 The reason for Cleopatra’s radiant skin was exfoliation. She combined sea salt and olive oil, two ingredients we widely use today for exfoliating skin mask as well. 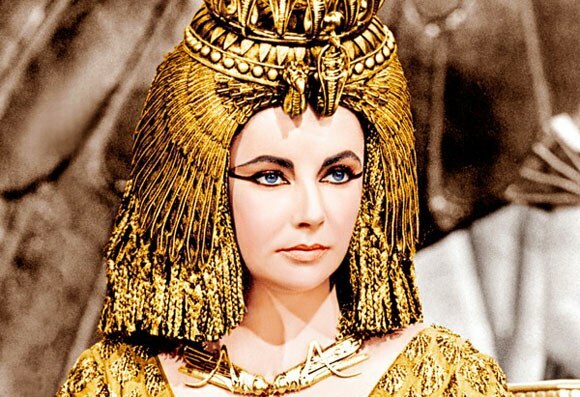 Long before we discovered the power of apple cider vinegar for skin benefits, Cleopatra used it a face rinse and toner. This usage of ACV is highly popular today as well. So, the next time you are pondering whether you should put vinegar on your face, just think what Cleopatra did, and how she is considered as a beauty icon. It is unclear to say who discovered essential oils, or how they become so popular. But one thing we know nowadays is that essential oils are magic put in a bottle. They are just too good, and too beneficial to be ignored. In Ancient Egypt, they were used as fragrant perfumes, and Cleopatra favored myrrh, cypress, neroli, rose, and frankincense. Notice what is similar? They are all considered aphrodisiacs. Another mask Cleopatra loved to apply to her skin was white clay mask. This is a mask made of natural ingredients, something we favor today as well. The mask provided toning and lifting effect. Try one, but remember, do not leave it for longer than 10 minutes. Anything more than that can be drying on your skin.